Vicki Callahan is Professor of Practice at the University of Southern California’s School of Cinematic Arts in the Division of Media Arts + Practice. 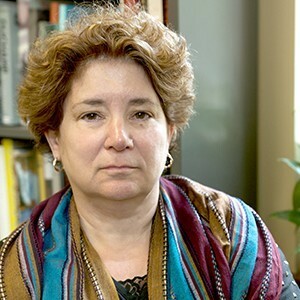 Her research and teaching are focused on the integration of theory and practice with attention to issues in film and media history, feminist studies, digital culture, media strategies for social change, and public scholarship. She is the author of Zones of Anxiety: Movement, Musidora, and the Crime Serials of Louis Feuillade (WSUP 2005), editor for the collection, Reclaiming the Archive: Feminism and Film History (WSUP 2010), and co-editor with Virginia Kuhn for the collection, Future Texts: Subversive Performance and Feminist Bodies (Parlor Press, 2016). With Virginia Kuhn, she co-edited a special issue of The Ciné-Files, #11 on “The Video Essay: Cinematic Writing” (Jan. 2017). She was a Fulbright Scholar with a focus on digital media praxis at University College Cork, Ireland and NEH fellow for the inaugural workshop on Videographic Criticism at Middlebury College. Currently, she is completing work on a monograph on the silent film star, Mabel Normand. With Sarah Atkinson, she is co-authoring, Mixed Reality: Gender, Precarity and New models of Work in the Convergence Economy (WSUP 2019). She is also working on a documentary project, The Lowcountry, which looks at issues of racial justice in Charleston, South Carolina.